The screech of landing gear meeting tarmac woke me from my Benadryl induced slumber. It was the spring of 2010 and I was arriving in Beijing to spend a month learning about the Chinese health care system first hand as part of an exchange program provided by my medical school. After drowsily checking in at my hotel, I made my way to the local market to buy some groceries. At the market, I was greeted with items I had never seen before and signs written in a language I could barely comprehend. I meandered about picking items I thought would be helpful, blissfully unaware of price or exchange rates. Upon checking out I came to two important realizations: I have expensive taste and if you are unaware of charges, it is impossible to budget accordingly. 5 years later, as an anesthesia critical care fellow, I found myself reflecting on the lessons I learned in Beijing as I tried to care for my patients in an evolving health care environment. The changes brought on by the Affordable Care Act created an imperative to deliver high quality health care at the lowest cost possible. However, just like the drowsy medical student in Beijing, none of us knew the cost of the medications and procedures we “bought” for our patients. This was not for a lack of desire on the part of providers but unfortunately, more often than not, this desire was met with imprecise estimates and conflicting information. Gradually, a sense of frustration and cynicism began to permeate every discussion about controlling costs. In response to this frustration I began to collaborate with multiple people across my institution to create a tool that increased charge transparency to providers. We wanted to create a tool that would allow health care providers to see not only the total amount of each patient’s hospital bill, but also the individual charge amount for each test and medication. This tool had to be simple, informative and comprehensive. The result of this collaboration was the ICU Charge Dashboard, an interactive display which allows providers to see charge information in unprecedented detail for patients under their care. Instead of speaking in vague, undefined terms- providers are able to see exactly where every penny of a patient’s hospital bill has gone. Never before in our institution has charge transparency been so accessible to providers, and to our knowledge, no other institution has developed such a comprehensive tool available to providers. The effects of this charge transparency on provider behavior remain to be seen, and is the main focus of the ICU Provider Awareness of the ICU Charge Environment (ICU PRICE) study (ClinicalTrials.gov Identifier: NCT02476591). ICU PRICE is a prospective, self-controlled, on-off design study currently taking place in the surgical, medical, neuroscience, burn and cardiovascular ICUs in our institution. The goal of ICU PRICE is to determine whether or not access to detailed charge information has any effect on the ordering patterns of ICU providers once variables such as severity of illness, age and other demographics are controlled. Without charge transparency, a key variable in the definition of value is missing and therefore value cannot be accurately defined or measured. Value is defined as outcomes relative to costs, therefore discussions of value must include data on both costs and outcomes. Charge transparency gives providers and patients alike the necessary data to have meaningful conversations about value. Thus charge transparency in and of itself is not a means of increasing value but rather a tool to be used in the pursuit of increased value. ICU PRICE and other studies on charge transparency are necessary to determine how charge transparency can best be used to maximize value. This sort of work is important in developing evidence-based initiatives to increase value. In addition, studies involving charge transparency allow providers to become more aware of the charge environment around them and will hopefully increase their comfort with discussing value-based health care. As our nation’s healthcare landscape continues to change, I believe it is our responsibility as health care providers to lead the charge in developing innovative means of maximizing value to our patients without compromising safety. 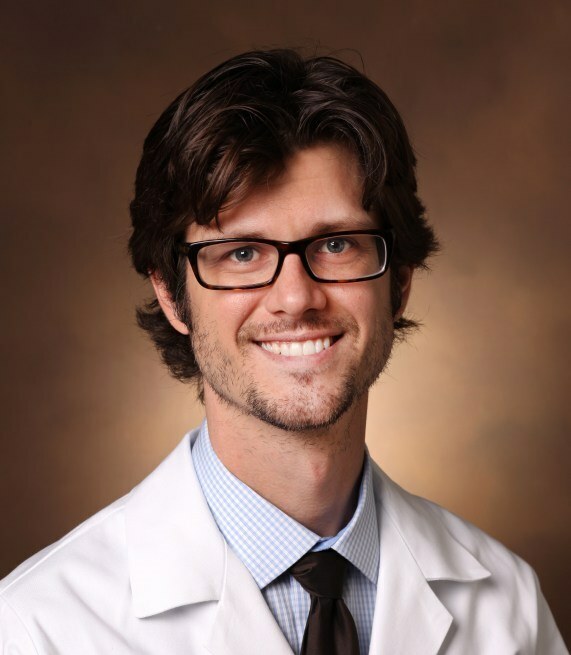 Adam Kingeter, MD is a fellow in cardiothoracic anesthesiology at Vanderbilt University Medical Center, and B.H. Robbins Scholar for the Department of Anesthesiology. His research centers on evidence-based interventions to improve value in health care.